Do you feel fatigued, angry, constipated, out of control, kind of stuck, or impatient often? Are you experiencing weight issues and back pain? Does making decisions bog you down? If yes, then you need to balance root chakra. Also called Mooladhara Chakra, this is the base chakra that helps to keep you grounded to the Earth. The chakra, located at the base of the spine, is red in color. If this chakra goes out of balance, it is but natural to feel stuck. You may hate change and want to stay in the same old, unrewarding job or relationship forever. You lack motivation or drive and confidence to bring a change in your life, even if you want to. Balance root chakra and you see wonderful changes in you. Confidence replaces fear and arrogance. Calmness replaces anger and restlessness. You feel more in control of life and are ready to take what life gives you. 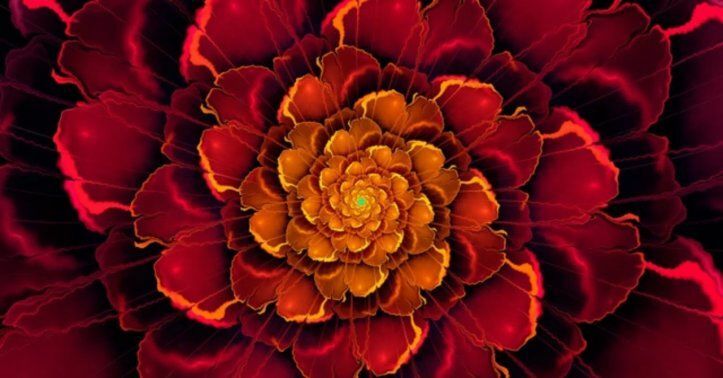 Ways to balance root chakra - they are as easy as a pie! Imagine red color glowing at the base of your spine. Meditate on this color. Visualize bright red at your tailbone base. Now, imagine this red light moving down your feet through your legs. You are now grounded to the Earth. Choose a nice red dress or shirt. If you don't wish to go bright all over, choose a shade of red. Wrapping a bright red scarf will also do. Red is a warm color. The Root Chakra is red, hence, if you are covered with red, it helps to open root chakra fast. You can also change your home decor and include red in it. Use red in your daily-use items; for example, red handbag, red toothbrush, red bottle, and so on. But please take care not to overdo red, lest it may hyperactivate the chakra. The key is balance. Whenever you feel uneasy or out of control, stand for a while. Stand straight. Let your feet be shoulder-width apart. Your arms should be at your sides and at ease. Your upper body should be in a relaxed position, but do not slouch. Breathe deeply. As you inhale, feel that you are connected to the Earth energy. Isn't this one of the easiest ways to balance root chakra? Do some mindful walking. Moving your body activates the Mooladhara or Root Chakra. Focus on your feet while walking. Feel each movement, as your foot touches the ground and the other foot leaves the ground with each step. Feel the touch of Earth. Avoid talking on the phone or chatting with others as you walk. Walk in solemnity. Don't care whether you can dance or cannot dance. Just groove to your favorite number. The idea is to move your body. This is one of the most effective ways to balance root chakra. In addition, it keeps you fit, increases your stamina, and makes you feel happy. Want something more? Sing along your favorite tune. This opens up your throat chakra. Bonus! Many root chakra problems can vanish, if you bathe mindfully each day. Bathing mindfully means feeling and loving each part of your body as you lather soap or body wash. You can even thank each organ and part of your body for functioning normally and for being beautiful. Even if you have a problem, say a liver problem or kidney problem, say, "Thank you kidney for being healthy or functioning normally and for being with me." Rinse your body and feel the shower of water on you. This becomes like meditation. You can find several yoga asanas that balance root chakra. They are easy. However, if you haven't done yoga before, it is wise to learn under a trained yoga instructor. Inculcating yoga in your daily routine helps to balance not only root chakra, but also other chakras. It brings overall wellbeing. Doing simple forward and backward bends, along with a few twists and turns, helps to stretch your back and legs, and keeps your spine supple and healthy. This makes your root chakra strong and energized. Yoga practitioners consider the Tree pose as one of the best poses to balance root chakra. You can use your creativity to make your own pose, but do not deviate much from the traditional pose. Make sure not to place your foot on your knee. You can place it anywhere on the leg. Stretch your arms over your head and make a "namaste." Remember to breathe deeply and slowly. Hold the pose for a minute or as long as you can. Somebody has said, " the condition of your feet reveals how you take care of yourselves." Well, this is also true in case of taking care of the root chakra! Take care of your feet. Keep them clean and well moisturized. Soak your feet in warm water and feel relaxation creep on you. A pedicure is a nice idea. Your feet are in direct touch with the Earth. They play a vital role in keeping your root chakra balanced. As the name suggests, root or Mooladhara chakra is the root of your energy. It is crucial to activate this chakra because it affects other chakras. In case your root chakra is blocked energies of your other chakras can also go haywire. Consider the root chakra as the foundation of your being. And the foundation should always be strong for the building to stay intact. As your root chakra opens, you will feel awesome. You will be bathed in confidence, stability, and energy. It is like tapping into the powerhouse of energy. To undergo a thorough chakra balancing session, it is wise to contact a certified chakra balancing therapist. He or she is an expert in chakra system of the body and knows how exactly to stimulate chakras.